The Discovery looks a helluva lot better than the Abrams Monstrosity. It kinda fits in with the USS Franklin design from STB. But...she's a bit of an ugly duckling IMO. Wonder if this is really the ship or just something to fire ppl up at SDCC? Apparently it is not a final design. We'll have to wait and see how they finalize her. Not really a trailer, more like a teaser to me. I liked the ship design, very dark. It kind of reminds me something Klingon or Romulan. I hope that the series follows this obscure style. Well, if the registry number and presence of Scott Bakula on the panel thing are any indication of the timeframe of the series, ST:Discovery would appear to be set circa 2200. I still don't hold out any hope for a good Trek series - Trek has, unfortunately, fell into the hands of Hollywood cash cow milkers who don't understand or have any care for writing good sci-fi stories, and instead just fill the show with flashy gimmicks they think will hook the audience, in place of any real substance (does anyone remember that episode of Stargate SG-1 where they had the Wormhole Xtreme producer guy come in and spin a bunch of bogus, cheesey plot ideas, including one that was a straight rip-off of Trek? That guy is who has been controlling Trek for a while now). I have no hope held out that ST:Discovery has managed to escape their clutches. However, I do have to admit to being somewhat intrigued. 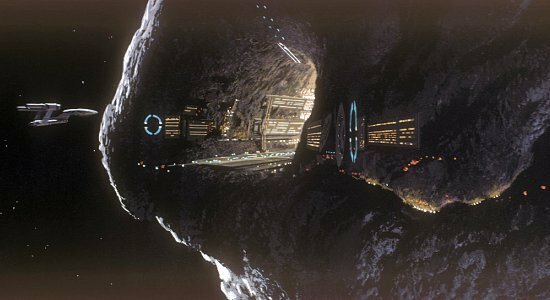 The design is a modernization of one of the Phase II study models, that ended up being used as background ships in a couple Spacedock scenes in ST:III, etc. 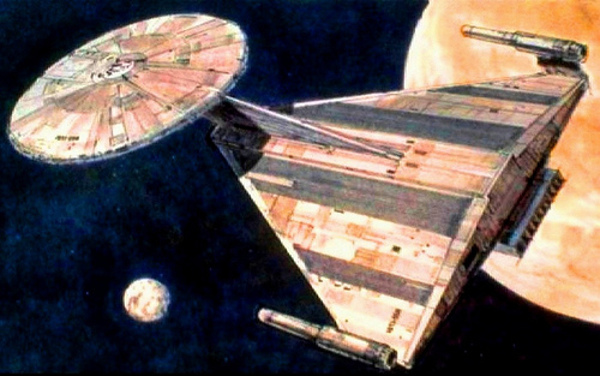 That, coupled with a registry number of NCC-1031, which would put her launch/commissioning sometime around the year 2200, plus or minus a few years, says that they're trying to take existing ship designs that we've seen on-screen and back fill them into the big gaps of time we have little information on. That's promising to me, because I wrote an essay on the history of starfleet ship design a few years ago, trying to fill in all the gaps, and this particular design is one of the ships I tapped to be a late 22nd Century Heavy Cruiser, one of the main ships Starfleet used in the first few decades of its existence, after it started building its own, in-house designs. Or it could be some whacky time period that has no consistency with the design or the registry number, and completely break with the lore, again. Like I said, not holding out any hope. But I am intrigued. I'm not a huge fan of the design of the USS Discovery, but I do have to say that I love the nacelles. I just wish that they were on pylons (like the McQaurrie design actually had for POTT) instead of just sort of hanging off the sides of the ship.